From golf parties and Pride festivities to nerdy dates and foodie fairs, here's what's up this September in YYC. Say goodbye to Summer ’18 and hello to the season of pumpkin spice lattes, cozy sweaters and our favourite Fall dates. 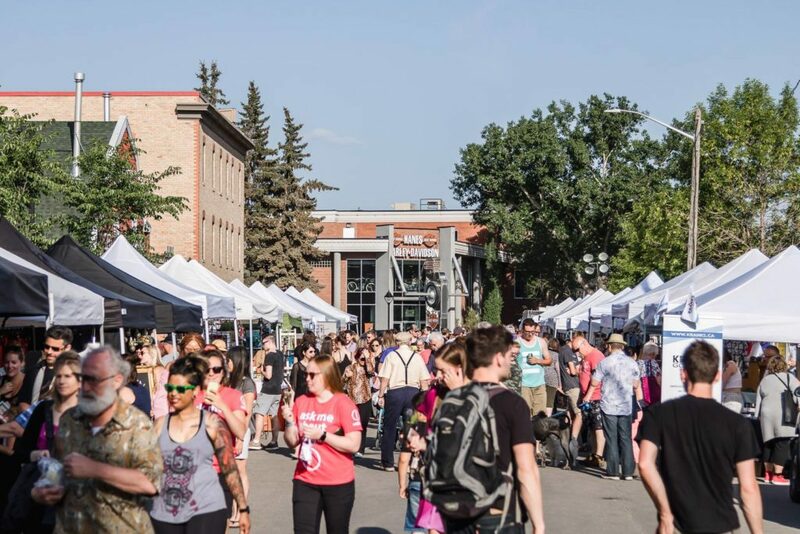 From golf parties and Pride festivities to nerdy dates and foodie fairs, here’s what’s up this September in YYC. Dig out those polos and golf pants – you’re going to need them for the Shaw Charity Classic. From August 29th to September 2nd, join Shaw Charity Classic at the Canyon Meadows Golf and Country Club for this PGA Tour Champions Event. 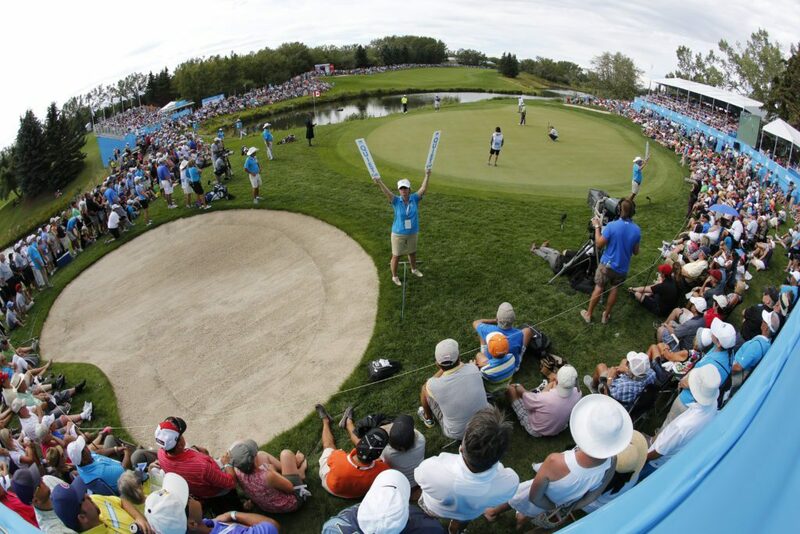 This year, they’ve got a brand new Bunker Lounge where you can enjoy free sips of Sandhill Wines, Sleeman Beers and Caesars by the Westin while playing your favourite outdoor games courtesy of the Rec Room. There will also be some of the city’s favourite food trucks, beer gardens, golf fashion, and more to help you celebrate the last long weekend of the summer. BBQ on the Bow is an annual competition during the Labour Day long weekend. Enjoy recipes from a variety of food vendors and BBQ competitors as they share their tips and tricks about the craft of barbecuing (so you can bust them out at your next summer BBQ party). Want to show off your grill skills? You can get in on their BBQ Competition. There will also be beer gardens and live music at this free event so get your fix of BBQ to end the summer ‘18 season. It’s the most colourful event of the year. The 28th annual Calgary Pride Parade brings colour into downtown Calgary on September 2nd. 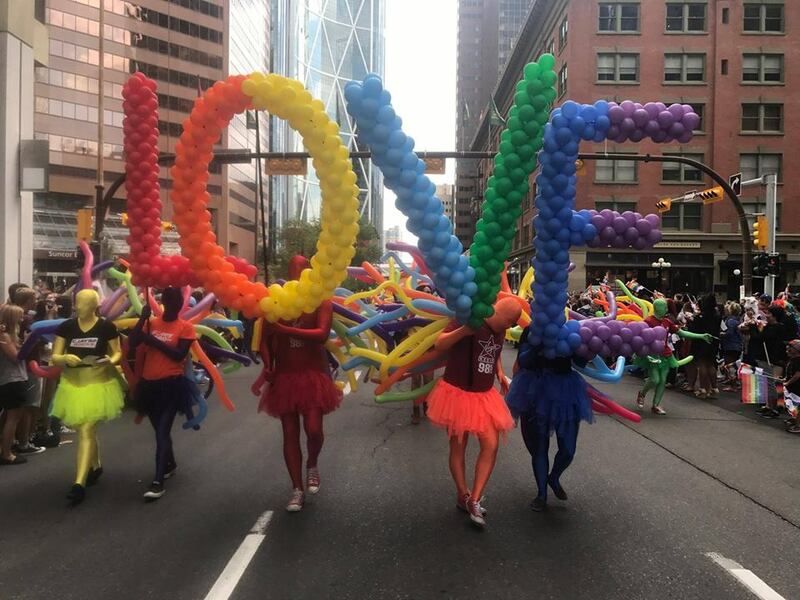 Celebrating the tremendous diversity in Calgary’s community, this family-friendly parade sees upwards of 60,000 spectators and over 175 entries from community groups, corporations, politicians, churches and public services. The Hot Mess Pride Bash stars Aja Queen. This Queen, famously known for being in Season 9 and All-Stars 3 of RuPaul’s Drag Race, is making her Alberta debut at Commonwealth Bar & Stage on September 2nd. There will also be performances from local queens, a photo booth, in-house DJ’s, and more to keep you on your toes all night long. This is one event you won’t want to miss. In this world premiere brought to you by Theatre Calgary and internationally acclaimed Calgary-based playwrite Tara Beagan, you’ll see a story about two grown sisters facing off over their mother’s death bed. Watch the story unfold as the sisters explore themes about confrontation, their own identities and the significance of faith and family while learning what remains when their mother leaves this world. Bring your tissues as this play will leave you laughing through your tears. Directed by film and TV favourite Michelle Thrush. Come hang at this event that incorporates all the summer vibes. Hosted at Cult Collective LP in Inglewood, this is a fantastic evening dedicated to living easy and free. Get your squad together, shine up your favourite pair of converse and get ready for some summertime fun. All proceeds from the Endless Summer Party go towards Their Opportunity, a foundation that exists to provide low-income families with the means to enrol their children in local sports programs. Bring your crew over to Quarry Park for the 2018 Calgary Food Fest. With over 12 food trucks, live entertainment, a market expo, inflatables, mascots and more, this is sure to be a fun-filled day. A large portion of this years proceeds will go to Sonshine Community Services, helping women and children transform their lives. From the creators of BassBus, Village Brewery and YYCFoodTrucks, Circle celebrates the best things in life. We’re talking, fine food, cold drinks, good music and great company. The newly renamed carnival turns five years old this year and is celebrating with a bigger and better party. They’ll have food trucks, a local-artisan market, three stages of live music, wiener dog races, a circus school and a jam-packed schedule of fun. Come for a paws-itively fun-filled afternoon on Vin Room’s patio as they host a private group training class for you and your four-legged BFF. In this session, their trainers will be sharing some key concepts to help you prevent and change behaviour problems with your dog. The ticket price includes two 16 oz glasses of featured beer or two 6 oz glasses of prosecco, a lesson, and a gift bag valued at $50. Proceeds will be donated to Pawsitive Match Rescue Foundation. All ages and sizes of dogs welcome. Humans have been hacking the world around us since we started making bones into tools. Hacking is the art of making something the way you want it, instead of the way it is. You may have already tried hacking electronics, but what about hacking your life or your mood? 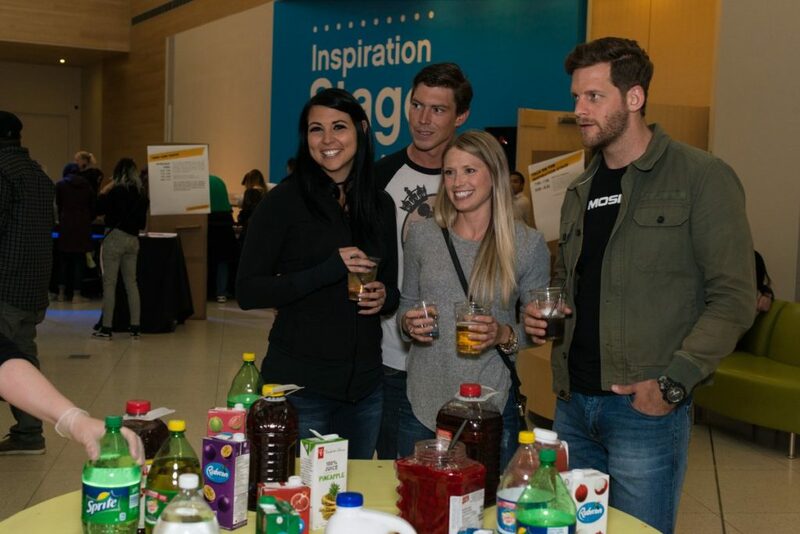 Join Telus Spark for Adults Only Night as they delve into this fascinating topic. With a fully licensed bar and good music, you’ve got the perfect science behind creating a great date night out. Run Calgary, CMLC and The Calgary Philharmonic Orchestra are teaming up to bring you an event that pairs the wonderful worlds of music and run. Lace up in support of the CPO in a fun new event to Calgary. Challenge yourself to finish an 8k race in a 4k looped course along the beautiful Bow River, before the orchestra completes 50 minutes of Beethoven’s best music. After you finish the race, you’ll receive awesome prizes like a custom Beat Beethoven wine glass and be able to enjoy a light dinner and concert by CPO highlighting their upcoming season. On September 15th, come explore the creative spaces of established and emerging artists in Calgary. The 15th annual East Side Studio Crawl is back to inspire. With over 50 artists in Inglewood and Ramsay opening their studios to Calgary, you’ll meet an inventive bunch of creators that paint, sculpt and work with all types of different materials. You’re invited to a “BB at the Q” End of Summer Block Party hosted by Q Condominiums and Morrison Homes Multi-Family. On September 15th, spend the afternoon at Q Presentation Centre. 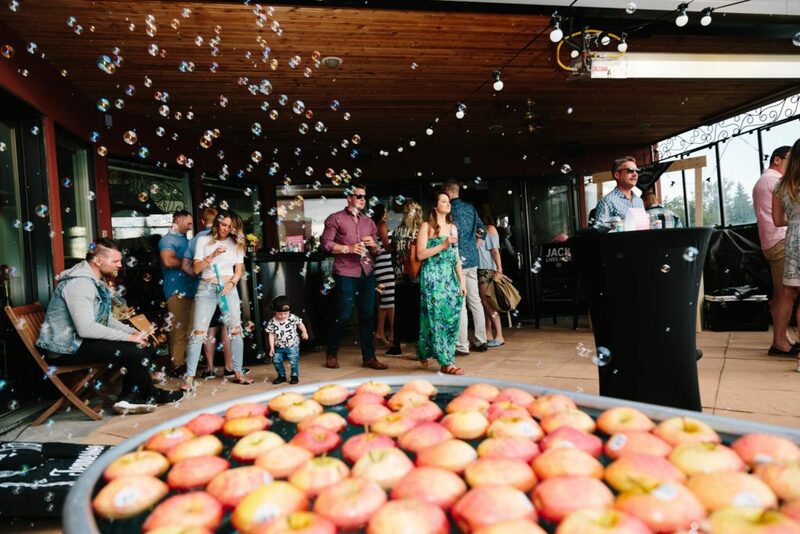 Taste some delicious eats, sip on lemonade, indulge in ice cream, listen to live music, play some giant Jenga and check out the newly launched Q Condominiums. You can even enter to win the use of a new Audi Q5 for a weekend. We’ll see you there. The Inglewood Night Market is back for its last installment this summer. This modern day market hosts over 50 local vendors selling unique goodies from handsmade craftsmen items to vintage clothing, antiques, artisan eats and more. Food trucks and live entertainment will also be on site. Bridal Expo, Alberta’s largest and most entertaining Fall bridal show, returns to the BMO Centre. This is your chance to meet over 200 local experts and experience all they have to offer. Check out fashion shows, an artisan market, food trucks, musicians and Alberta’s largest wedding gown sale with gowns at huge discounts. The YW Walk A Mile in Her Shoes is an annual fundraising event that asks the men and women in Calgary to step up and take a stand to help break the cycle of family violence. On September 18th, hundreds of Calgarians will put on a pair of high heels and strut their stuff down Stephen Avenue to support women and their families. Together, we can take steps to break the cycle of domestic abuse in our city. 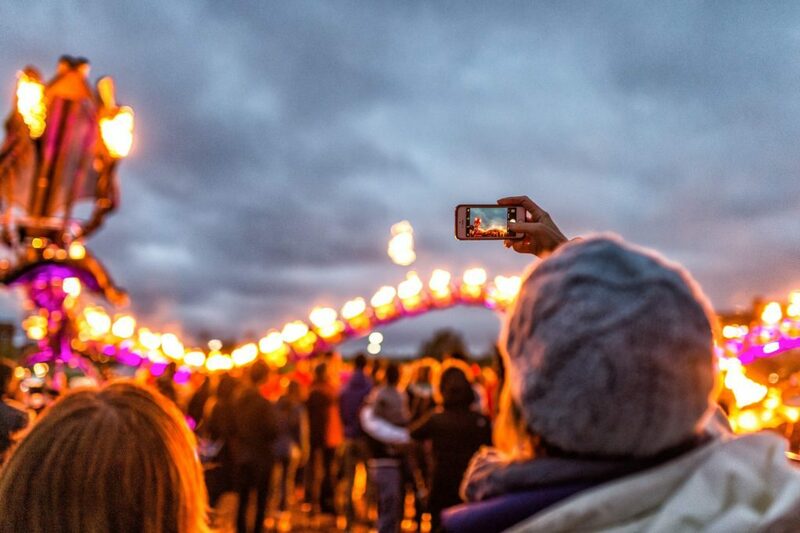 Beakerhead converts Calgary into one big hands-on experiment. From September 19th to 23rd, explore more than ten larger than life jaw-dropping art and engineering installations. The interactive exhibits include three full blocks of open-air experimentation on 4th street, a human-sized hamster wheel, big-time science buskers and numerous artists and performers. Don’t miss Beakernight on the 22nd where fire, lasers, light and music come together to create science’s biggest street party. Get off your couch and join us for Speed Dating. Spend the evening mixing and mingling with other singles. The women stay in the same seat and the men rotate. Each date lasts 4-5 minutes – it’s the perfect opportunity to practice your flirting skills while meeting new people. We collect your matches at the end of the night and will contact you with your matches the following day. This is so you don’t have the awkward phone number exchange at the end of the conversation. Your contact info is only shared with permission and if you have a match. Happy dating. Calling all film fanatics, the Calgary International Film Festival is back again this year. This nearly two week showcase aims to show up to 200 multi-genres films from over 40 countries. You can also get a behind-the-scenes look of some movies, meet the filmmakers and attend gala events and screenings. Grab your tickets to the largest film festival in Alberta. Dim the lights, the Calgary Zoo wants to party in black and white. Slip on your best black and white attire and spend time with the Giant Pandas after hours at the Zoo’s elegant adult only cocktail reception. Come learn more about these incredible bears and why they’re so important to the planet. Make sure you come photo ready so you and your date can take advantage of their conservation themed photo booth. Calling all dudes. If you love a good challenge, prepare to step outside your comfort zone and try a new fitness class. 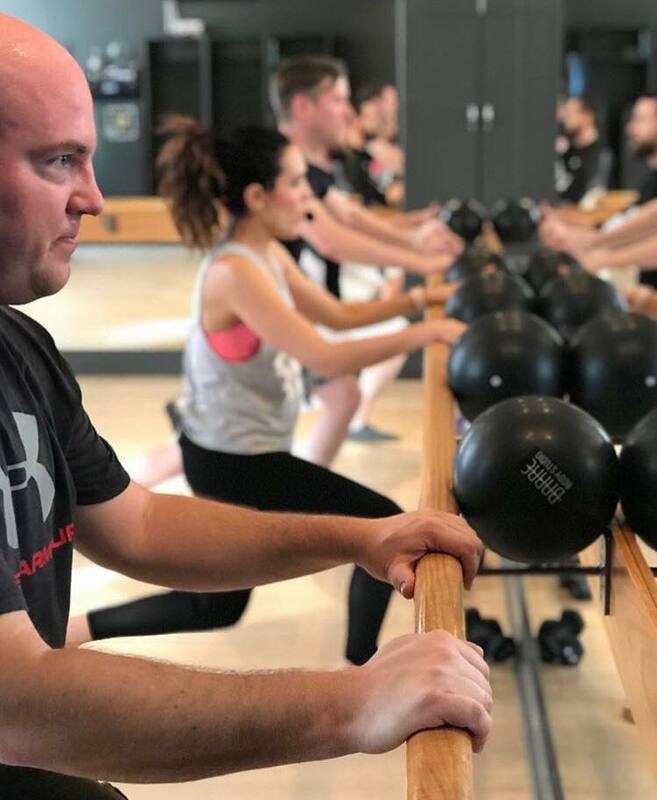 Man Enough YYC will be hitting the barre at Barre Body Studio Ramsay this month. Come discover what the classes are about and challenge yourself to grow your perspective, network with local business leaders and have a good laugh. Post-class, there will be a mandatory beer at a local brewery at Cold Garden where you can continue to mingle with new friends. Class is free with a suggested donation of a minimum of $10 to the studio so they can donate to a local charity. This brand new festival brought to you by Alberta Beer Festivals celebrates community and aims to satisfy your cravings for all things new. During this two-day event, they’ll be hosting the best distilleries, breweries, restaurants and artists under the same roof for a unique sampling event unlike any other. They’ll have DJs, live music performances, photography walls, art installations and more to keep you entertained. Live on Purpose. This revolutionary workout blends emotional wellness and high intensity movements through phases of connection, challenge, play and growth. Next, our Limbus Founders MC & Darby will give a brief overview of Limbus and the science behind the movement and what brings the Limbus Tribe together. Following will be champagne, elixirs and sampling and shopping with our vendor partners. Come and celebrate… on purpose! Bring a yoga mat and workout clothes along with something to change into afterward, clean indoor shoes are an option if you need the extra arch support. Join in for the official launch of the Limbus ™ workout. This will be an event of connection, challenge, play and growth. Expect to be guided through a variety of whole-body movements like clapping, chanting and yelling – all to a stellar playlist. Prepare for an escape room science fiction themed experience on a massive scale. Bring your crew to solve puzzles throughout all six stories of the old Central Library and win your escape (and some bragging points!). Proceed support the Calgary Public Library Foundation. As if you needed another reason to eat pizza. The 5th annual YYC Pizza Week is back from September 21st to 30th where participating restaurants from around the city will be offering a unique pizza for you to try. Every time you purchase the featured pizza, a slice of the proceeds will support Calgary Meals on Wheels. Choose from thin crust, thick crust or something totally outside of the normal pizza box. There will be over 20 participating restaurants including Alforno Bakery & Cafe, Avatara Pizza, Cibo, Cilantro, Una Pizza + Wine and more. This fan-favourite local market returns for its fall edition on September 22nd. Head over to Rally Pointe to check out the nearly 90 vendors they’ll have debuting unique goodies. Shop from vendors including Lace Brick Design, The Gut Lab, Words & Co, Pretty Sweet Bakery and more. 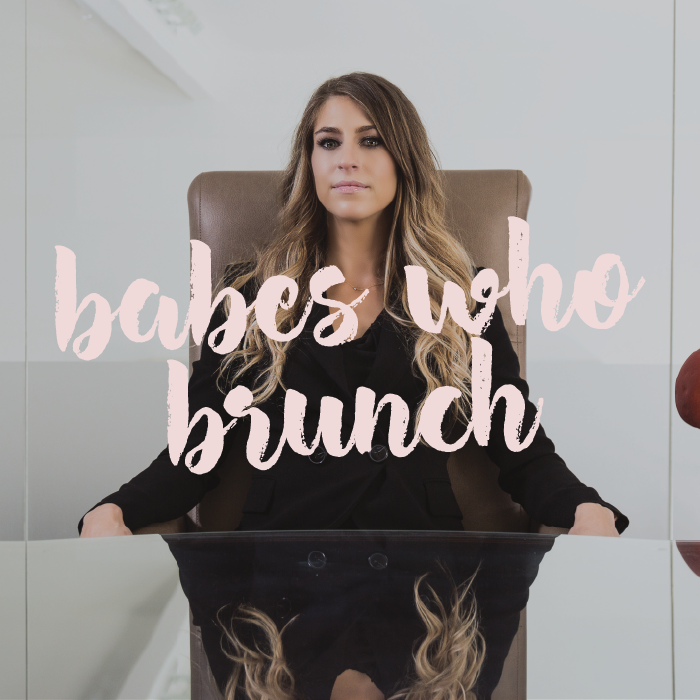 The September edition of Calgary Babes Who Brunch with The Ace Class, features local boss babe Criminal Defence Lawyer by day and boxing instructor by night, Kaysi Fagan as their keynote speaker. Each Babes Who Brunch event is led by a fierce female keynote speaker who shares her insights, experiences and life story – aka #realtalk for real women. Don’t be shy – attending solo is encouraged. Your ticket includes coffee, a two-course brunch, a curated gift bag and impactful takeaways from a keynote speaker. Inn From the Cold has been DreamINN’ Big with you in mind. On September 22nd, join them for an evening under the big top. Get lost in the wonders of the circus, taste some delicious food and partake in an exciting silent auction – all in support of children and families experiencing homelessness. All funds raised from the 6th Annual DreamINN Big! Gala will go towards support their Family Support Program. Race for a great cause at the second annual RBC Race for the Kids on September 23rd. Join runners and walkers of all ages and abilities to participate in a 1K Kids Dash or a scenic 6K Family Fun Run in support of the Alberta Children’s Hospital Foundation. After the run, stay for a pancake breakfast, awards ceremony and extended celebration. Bring your furry friends to the River Park Off-Leash Area for the 9th annual Walk n’ Wag in support of ARF. Following a short 2km dog walk, there will be lots of activities for dogs and humans to enjoy including a special picnic in the park. Don’t have a dog to walk? Bring your favourite stuffie and they’ll make sure it’s treated well. Join Cilantro and Patrón Spirits for a tequila-inspired dinner on September 25th. The evening starts with a Patrón tequila based opening cocktail, followed by a tantalizing four-course dinner prepared by Chef Lance Monteiro and his culinary team at Cilantro. Each course will be exclusively paired with one of Patrón’s award winning tequilas. You’ll also be able to check out Cilantro’s brand new renovations from earlier this year. Tickets are limited so act fast. 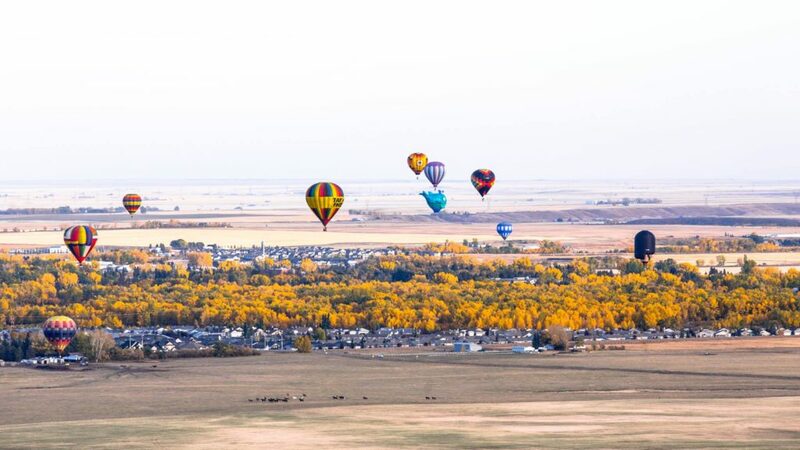 Take a drive to High River to check out the annual Heritage Inn International Balloon Festival. During this five-day spectacle, hot air balloons from around Canada will gather for some fun and competition. Make sure you check out their highlight event, the Balloon Glow on September 29th. Pilots will light up their balloons all at once to illuminate the night sky. You’ll also get the chance to walk inside a hot air balloon to see how it operates while feasting on some tasty eats from the food vendors available. The Etsy: Made in Canada – Calgary market is back on September 28th and 29th. With over 100 local Etsy sellers to shop from in the 17,000 square foot Genesis Centre space, you’ll likely spend the entire day here. Don’t fret, you won’t go hungry as our food truck friends will be on site. Part of admission sales from Saturday will be donated to charity. Walk into the Carnival’s Big Top and you’ll be greeted by an extraordinary celebration unlike any you’ve seen before. This carnival-inspired event will feature themed food and cocktails from some of the city’s top restaurants and bars including Two Penny, Calcutta Cricket Club, Native Tongues, Ten Foot Henry, Anejo and more. There will be DJ’s, live entertainment, fun surprises and a silent auction waiting for all guests. The grandiose event takes place in the Spectrum Ballroom at Hotel Arts where you can get as creative as you want with your dress code. All proceeds will be directed to support critical research in Alberta through the Canadian Cancer Society. Go visit the adorable pandas and grab some panda ice cream from Fiasco Gelato, delloR Ice Cream and UTCA Chimney Cakes. No judgement if you try all three. Snap a picture of your ice cream, post it to social and tag us (@datenightyyc), the Calgary Zoo (@thecalgaryzoo) and all three ice cream companies (@fiascogelato, @delloricecream and @utcachimneycakes) for your chance to win more delicious treats. Be sure to use the hashtag #pandaliciousyyc.